Looking for some back to school lunch ideas that go beyond the boring sandwich? We have a few great ones to share with you! With an average of about 180 school days in a year, you can only pack PB&J so many times. If your child goes to a school where the PB isn’t allowed, your options are even more limited! Take a look at a few of our favorite back to school lunch ideas that will help you plan ahead for the morning rush! 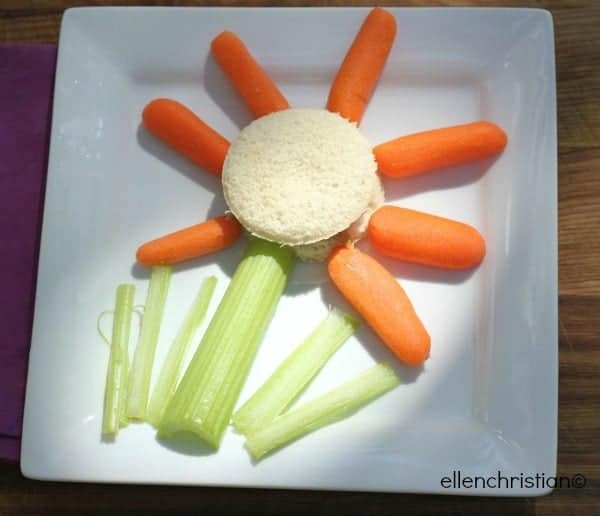 Our Flower Sandwiches make eating vegetables so much fun! The best part- you can get several back to school lunch ideas out of this one because you can switch up the filling and vegetables. You could do tuna fish one day, ham and cheese the next! Kids tired of the plain old bread, meat cheese routine? Shake it up with these fun Shish Kebab sandwiches! Sure, it’s still bread, meat and cheese, but everything is more fun on a stick, right? Plus, you can mix it up by adding some fruit and veggies too. I would go with shish kabob sticks without a pointy end though, just in case your school has issues with the pointy ones. 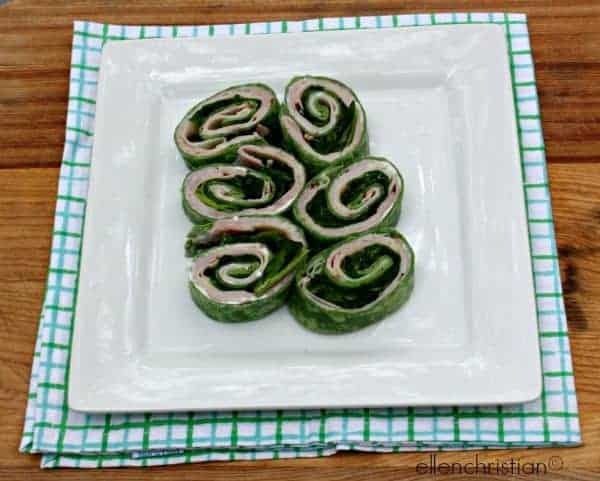 Our Ham and Cheese pinwheels are another fun way to shake up the boring old sandwich routine. Our recipe uses a spinach sandwich wrap, but you can go with any other type of wrap or tortilla. 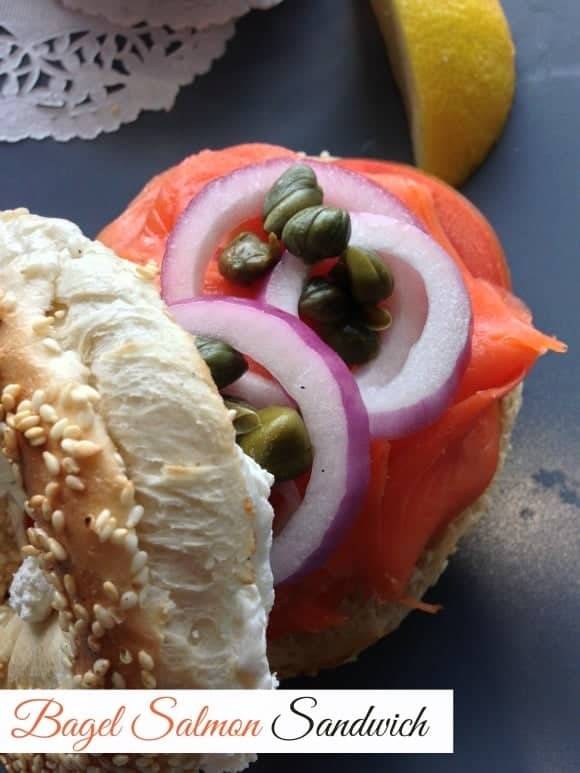 Teens and kids with more sophisticated tastes will enjoy this bagel salmon sandwich! I suggest making this one in the morning with a nice, fresh bagel! Don’t let the picture fool you, this is actually incredibly easy to make. Of course, if your kids aren’t into salmon, you could always change it out for tuna or something else. If your kids aren’t into sandwiches, you can still help them get their protein and veggies with a delicious salad. We love the quinoa salad recipe because it’s easy to prepare. It also holds up pretty well in an insulated lunch box. 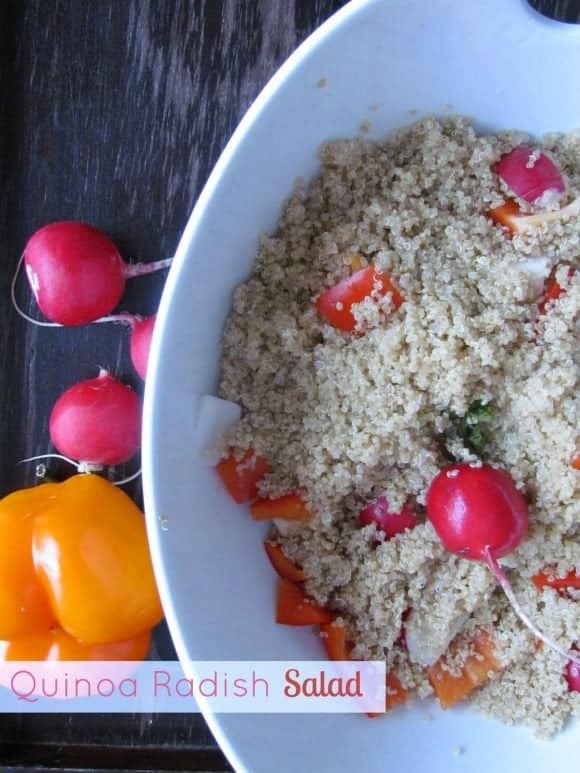 Plus, kids will love the nutty flavor of the quinoa paired with the crunch of the radishes. Pinterest is always a great source of inspiration for us! Take a look at a few back to school lunch ideas that we absolutely love. These are just a few fun back to school lunch ideas beyond the obvious that will help get you started. Do you have any favorites you’d like to add? Share them with us in the comments! These are indeed unique back to school lunch ideas. I love to be different in some ways and this would be a great way to be unique. I love the idea of the radish salad which I have never heard of before. Thanks for sharing. These are some cute and creative ideas! Those a great great suggestions. 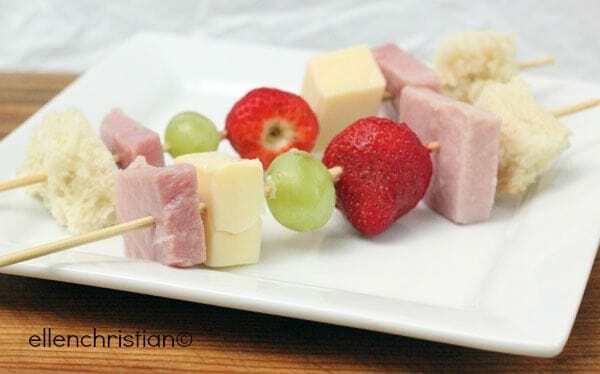 I recently made my kids the lunch meat on the kabobs, I called it sandwich on a stick and they loved it! So many great ideas. My kiddos love when I do bento style type lunches so I tend to try to get really creative. The bagel sandwich looks really good. I’d love to try that quinoa salad too. School lunches should be able to give our kids energy to withstand the stress in school, awesome ideas! Love the Kebabs and the Roll-ups. I think I will be sending those in my son’s lunches this fall. Thank you! I’m hungry just looking vat these delicious offerings! Most kids will enjoy! 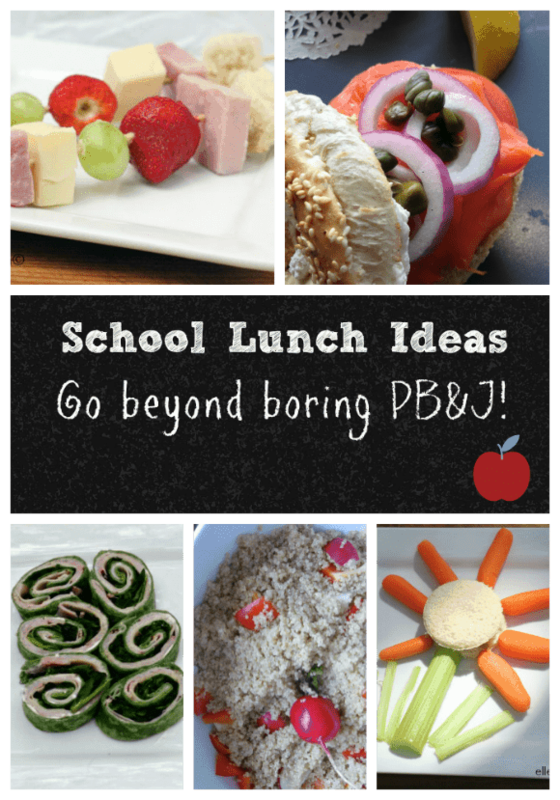 These are great Ideas back to school lunch and PJ excitement will have to try. These definitely look like a lot of fun. Although my son hasn’t quite gotten into liking PB&J yet. I know we used to love them as kids though! As much as I enjoy packing lunches, I also love not having to. These cute ideas are inspiring me. Those are such great ideas. I love that flower sandwich. Those are all great ideas. I will bookmark this for the fall when my kids are back in school! I am so making these kabobs for my kids. They are so tired of peanut butter and jelly sandwiches. I like the kebab ideas! My son doesn’t pack his lunch, but this would be fun to just have at home even!